Containerized ultrapure water production allowed power plants to meet increased needs in a small footprint. 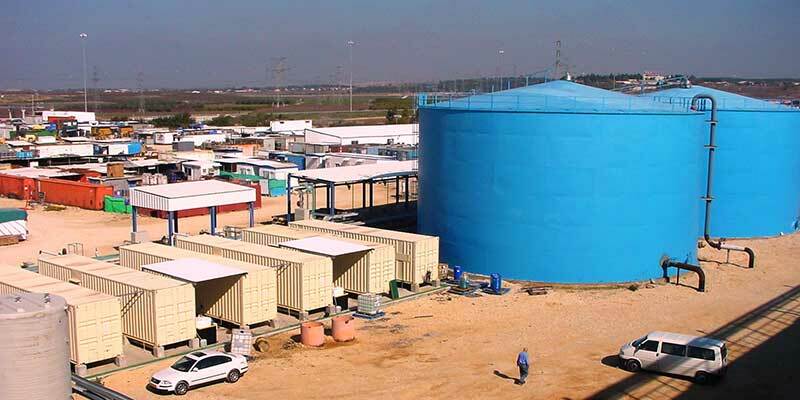 When the Israel Electric Company (IEC) decided to convert some of its inland open-cycle turbines to combined-cycle, gas-fired power generators, it needed a high-quality source of ultrapure water (UPW) to use as makeup water for its heat-recovery steam generator (HRSG) and for NOx emission reduction. After being selected through an international tender process, Fluence successfully designed, manufactured, and supplied containerized UPW systems for the combined-cycle power stations. More than 15 20 m3/h production modules, each fitted in two 40-foot shipping containers, were provided to seven power plants. Their compact design allowed for ease of installation, operation, and maintenance while meeting the customer’s demanding engineering standards. IEC, which had been using traditional ion exchange technology for UPW, required more UPW for its new generators. Accommodating this increased need meant a switch to gas-transfer membrane (GTM) and continuous electrodeionization (CEDI). Electrodeionization, a premium technology for UPW treatment, dictates a high level of engineering. The system’s water source is potable tap water from the Israeli national grid, which is characterized by high conductivity and hardness. Additional challenges and concerns included a tight schedule and very limited footprints at the plants. Containerized systems solved these issues by allowing placement outdoors, with no need for building permits and with minimal construction additions. Each integrated, eight-stage system consists of two 40-foot cargo containers and an outside chemical farm. The systems were fabricated at Fluence facilities and delivered to the site tested and ready for placement and integration. The use of all-membrane technology (for brackish water reverse osmosis, GTM, and CEDI) minimized required space and chemical consumption. The systems have been working with perfect performance and compliance to water-quality specifications. Contact Fluence for more information about our sustainable water treatment solutions for the power industry.